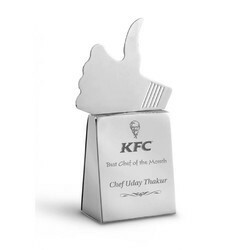 We are a leading Manufacturer of trophies and thumbs up trophy from Delhi, India. 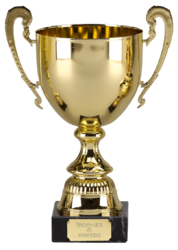 To meet diverse requirements of our prestigious clients, we are engaged in providing an excellent range of Star Performance Trophies. These trophies are designed and manufactured by skilled craftsmen using finest quality basic material as per the set industry standards. Offered trophies are widely valued by our clients due to their attributes like outstanding finish, striking look, elegant design and durability. We offer these trophies in diverse designs, patterns and colors at market leading prices. We provide a wide spectrum of Promotional Trophies, which are made from high grade material like, Wood, Acrylic, Metal, Glass & Crystal. Our range of trophies and award trophies are known for their features of crack resistance, light . Looking for Award Trophies ?